155,000 Jobs Added In December, Jobless Rate At 7.8 Percent : The Two-Way Growth was in line with expectations and adds to the evidence that the nation continues to add jobs at a modest pace. Looking for work: The scene at a "diversity job fair" in Manhattan last month. There were 155,000 jobs added to public and private payrolls in December, the Bureau of Labor Statistics reported Friday morning. That's right in line with economists' expectations and is another sign of steady, though modest, growth in employment. In November, employers added an estimated 161,000 jobs. The average monthly gain in 2012 was 153,000 jobs, BLS says. That's the same average as in 2011. Meanwhile, the nation's unemployment rate held steady at 7.8 percent in December — BLS revised the November jobless rate, which it first estimated was 7.7 percent, to 7.8 percent. In December 2011, the unemployment rate stood at 8.5 percent. We'll have more on the report and reactions to it as the morning continues, so be sure to hit your "refresh" button to see our latest updates. Meanwhile, stocks are little changed in early trading on Wall Street. Update at 9:15 a.m. ET. Where Jobs Were Added. -- "Health care employment continued to expand in December (+45,000)." -- "In December, employment in food services and drinking places rose by 38,000." -- "Construction added 30,000 jobs in December." -- "Manufacturing employment rose by 25,000." -- "Employment in retail trade changed little in December, after increasing by 143,000 over the prior 3 months." In the midst of the presidential campaign, when BLS reported in early October that the September jobless rate was 7.8 percent vs. 8.1 percent the month before, some of the Obama administration's critics wondered whether that number was true or not. In today's report, BLS says the September figure still stands at 7.8 percent. 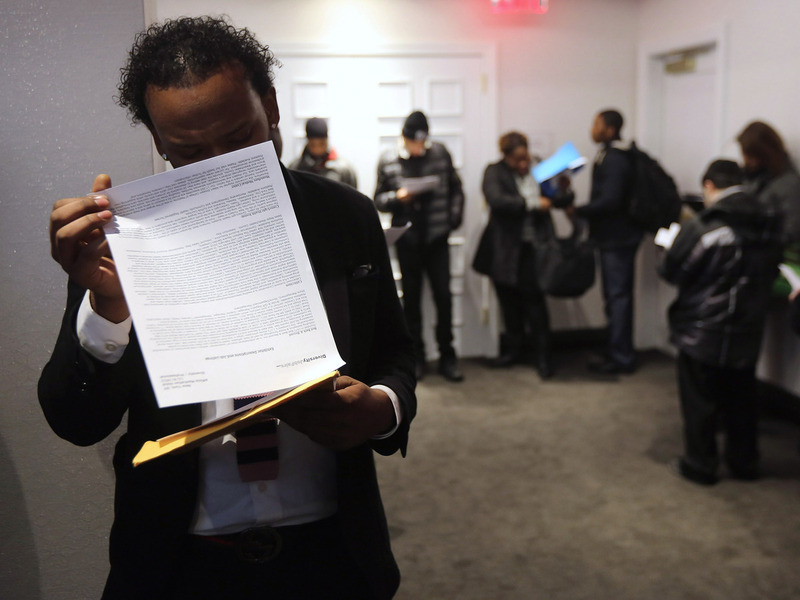 -- The jobless rate edged down from 8.5 percent in December 2011. -- Public and private employers together added 1.84 million jobs to their payrolls. -- The employment growth was all in the private sector: 1.9 million jobs. Government agencies shed more than 60,000 jobs.